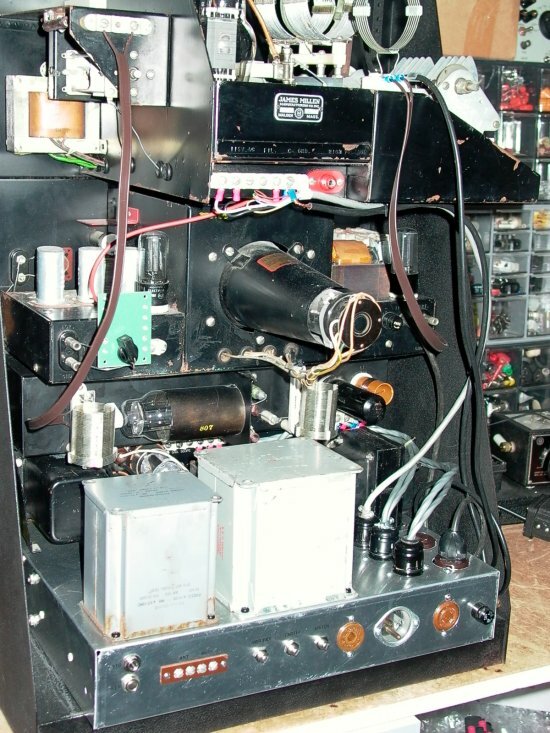 FIGURE 1 - This shows the completed James Millen 500w transmitter in my shack connected up with a 1946 vintage HRO-5RA1. The 90700 Vari-arm VFO is setting on top of the HRO-5 speaker. 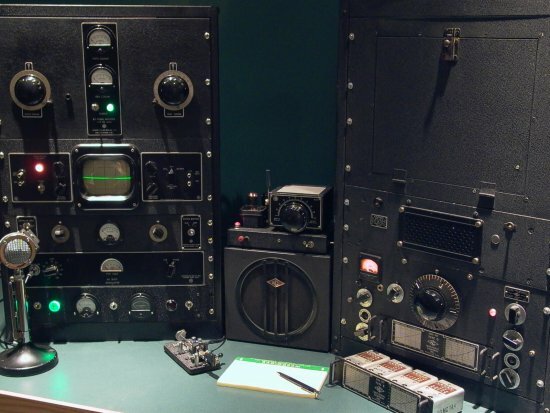 In the photo, you can see the two meters and the green and red lights on the bottom panel of the transmitter; that is the front panel of the power supply for the tabletop portion of the transmitter. The Millen modules, from top to bottom are the 90881-500w RF deck with 812A tubes running class C. The 90905 5" scope to monitor the RF envelop or trapezoid pattern. The 90800-50w exciter with 6L6 and 807 and the 90831-speech amp with 6146's in its output driving the grids of the 811A's in class B in the power modulator. FIGURE 2 - The high voltage power supply and the power modulator. View schematics of the power supply and modulator here! The choke to the right is in series with the HV to the RF deck. The modulation iron is in the back at the left on the other side of the 811A tubes. The mod iron is capacitively coupled across the choke to take the DC off the mod iron secondary; a trick used in many broadcast transmitters. You can see the interconnect cables at the right of the chassis and the two chokes and the HV transformer on the right side of the chassis. The three relays near the center are for Tune/operate, CW/Phone and Plate ON/OFF control. 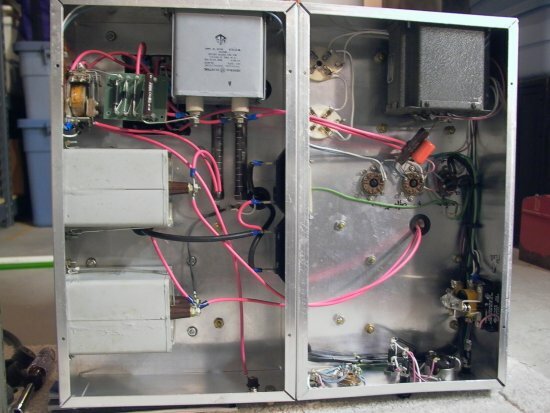 FIGURE 3 - The bottom side of the HV supply and power modulator. I chose to connect two smaller chassis vs. one larger chassis due to the weight of all the transformers. The trick worked pretty well but I think a steel chassis would have been even sturdier. The power supply filters are on the right and the coupling cap for the modulation is at the top with one of the CW/Phone relays at top left. The small circuit board between the relay and the capacitor is the negative cycle loading circuit. 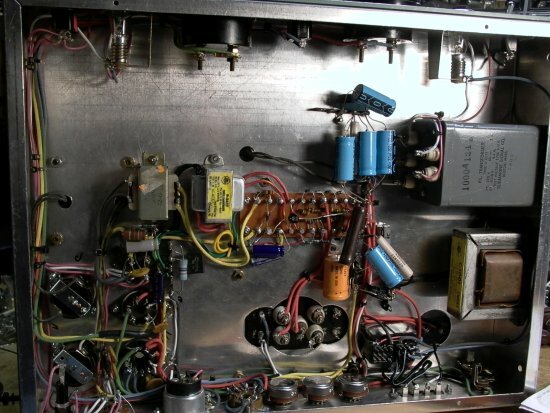 In the lower right of the chassis is the plate relay and at the top right is the filament transformer for the 811A's or the TZ-40's. At this time, I'm using 811A's because with 1450 volts the zero signal plate current is about 60ma. The zero signal plate current with the TZ-40's is higher so I would need to add about -9 volts of bias to run those tubes correctly. FIGURE 4 - Top view of the high voltage power supply and power modulator. 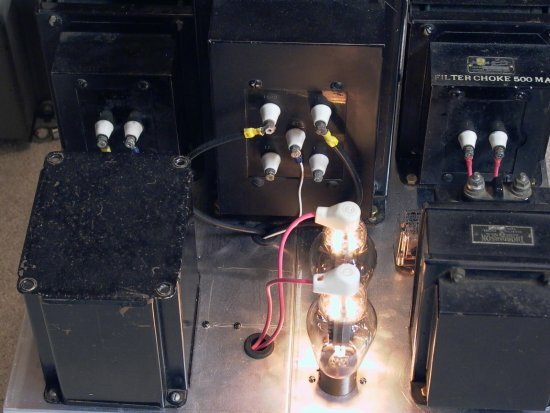 To the left of the 811A's is the mod iron and to the right of the tubes is the 25H modulation choke. The plate transformer is center back, the swinging choke is back left, and the smoothing choke is back right. FIGURE 5 - Back of the transmitter. The bottom chassis is the homebrew supplies for the exciter, speech amp, VFO, and AC power for the RF decks filament supply. The bias supplies are located on this chassis. FIGURE 6 - Notice the multi-pin plugs; each one is for a different Millen module. This way I can easily remove one of the modules for repair. The two-120v outlets in the foreground are switched from the filament ON/OFF switch. One is for the 90905 scope and the other has an isolation transformer for the 90700 VFO. The 90700 VFO is an AC/DC design that doesn't like being connected to a circuit with a ground fault detector. FIGURE 7 - Bottom view of the low voltage supplies for the modules in the tabletop transmitter. 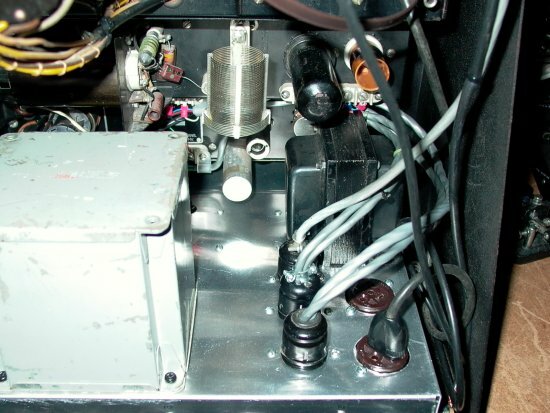 This supply includes the 500v for the exciter and speech amp. The 240v for the speech amp and the three -45v bias supplies for the RF deck, speech amp and the exciter. 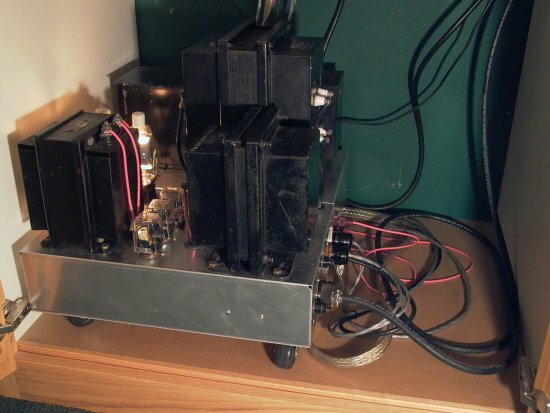 The filament supply for the speech amp and exciter is on this chassis as is all of the switching circuits for the entire transmitter; plate switch, filament switch, tune/operate switch, exciter grid current meter and modulation cathode current meter. The CW/Phone switch is located on the 90831-speech amp and controls two relays on the HV supply to switch the transmitter from Phone to CW. Look at the schematics for details.